We send this email with a heavy heart. You all know Capt'n Pauley (Paul Esterle) who has written articles for Good Old Boat (since 2003) and other publications over the years and has produced many how-to books and videos. 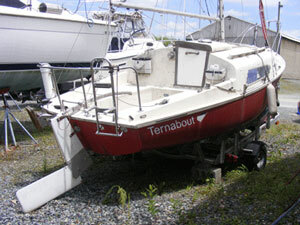 Paul's health is failing him and those boats that have been featured in his how-to articles are looking for new homes. Those boats are a Matilda 20, a Columbia 26 Mk I, and a Columbia 10.7. The Matilda comes with a trailer a 7.5 hp Johnson SeaHorse and a CDI roller-furler. Asking price is $3,000 or best offer (OBO). 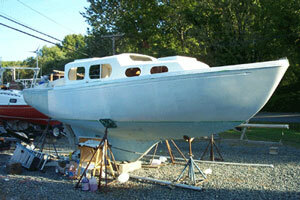 The Columbia 26 is a project boat and has no trailer or outboard. There are 5 bags of sails, new standing rigging, powder-coated window frames (windows are out of the boat), all electrical components to equip the boat, new head and holding tank and all refinished drawers. Asking price is $500 OBO. The Columbia 10.7 is also a project boat, has a diesel engine, sails refurbished by SailCare, new stainless-steel ports, and many other upgrades. 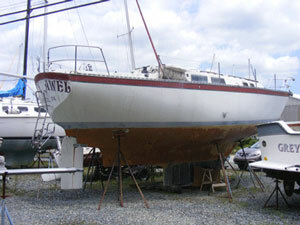 Seacoaks need to be re-installed (new bronze ones on hand) and water tanks need cleaning and re-installation. Asking price is $5,000 OBO.